the canoes have been built. The sails have been let out. The journey to the 2019 ILGA World Conference has begun! We look forward to meeting you in Wellington, Aotearoa/New Zealand from March 18 to 22, 2019, as the ILGA family will be hosted by our member organisations Intersex Trust Aotearoa New Zealand, Tīwhanawhana Trust, and Rainbow Youth. The 2019 ILGA World Conference is set to be an historic one: this will be where our family will celebrate its first 40 years! We will look at our history and shape our years ahead, as members decide on our strategic direction for the next four years. All this will be reflected in the theme of the conference: Celebrating the past to liberate the future. Today we are also proud to share the official logo of the conference with you, and to announce that the main venue for the event will be the historic Michael Fowler Centre. September 18, 2018: opening of conference registration for paying participants. Our communities have gone through an amazing journey together. In the past four decades, advances that once seemed unimaginable have become a reality, and yet the path towards seeing our bodies, identities and relations recognised and respected is still a long one. It is time to gather together again, celebrate our history together, share our knowledge and strategise about the future of our movement! This will be our first World Conference to ever take place in Oceania, allowing greater participation from our communities in the Asia-Pacific region in all their diversities, and for indigenous voices to gain centre stage. It will also be a testament of how much our family has grown in numbers and representation throughout its history: 40 years after the first conference following ILGA’s foundation, we will reach the antipodes of our origins, in a continued push to represent all cultures and be shaped by them. we look forward to meeting you all in Wellington! 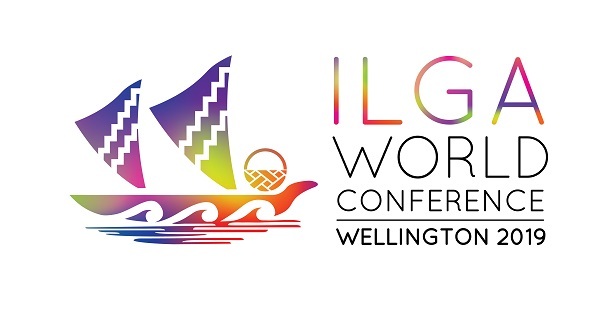 All communications regarding scholarships, session proposals and registration will be available on the ilga.org website, while the social programme will be announced on wellington2019.nz. Those who expressed their interest in the conference with their pre-registration on the latter website will be alerted of upcoming openings in a separate newsletter.